Knowing your skin undertone can be a very useful thing for you. As it can be very helpful when choosing clothes and beauty products. And can make the difference between your complexion looking pale and washed out. Or refreshed and rejuvenated. 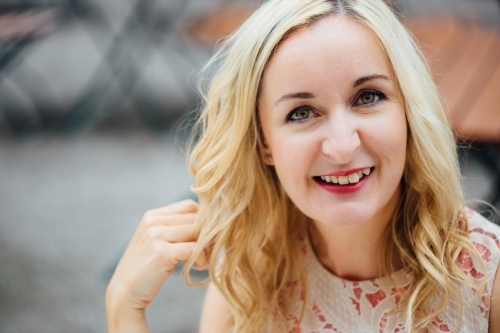 There are several ways to find your undertone. So let’s look at each of them now. And what you can do with this once you’ve determined what it is. What’s the difference between skin tone and skin undertone? Skin tone is not the same as skin undertone. Your skin tone is generally light, medium tan or dark. And it can change depending on various factors. For example, your skin tone can be darker in Summer than in Winter. Skin undertones refer to the colour underneath the surface of your skin. And this will remain constant no matter what time of year it is. If you have a warm undertone, you generally have a more golden or yellow tone to your skin. If you have a cool undertone, you have more of a pink tone or rosiness to your skin. This is where you don’t have any real obvious undertone to your skin. So you most likely have both golden or yellow tones as well as pink tones to your skin. Lucky you if your skin has a neutral undertone. As you can pretty much wear any shades you like and they’re all going to suit you. So how can I determine my skin undertone? Well, there are actually several ways you can do this. And I’ll explain each one now for you. You can either choose one of them. But I actually recommend taking a look at all of them. As that will give you a much more accurate result. Firstly, grab a pen and a piece of paper. And as you’re asking yourself the following questions, write down your answer to each one. Which will be A, B or C.
Once you’ve finished, add up your scores (ie: how many A’s, how many B’s, etc). And at the bottom of this post, you’ll be able to determine what your skin undertone is. So let’s get started. 1. How does your skin react in the sun? This is a great indicator of whether your skin has a warm, cool or neutral undertone. So ask yourself. Do you burn easily in the sun? Or do you tan easily? Perhaps you’re a mixture of both? 2. What colour of jewellery looks best on you? You can also do this with something else that’s gold and silver. For example, with gold and silver scarves. Hold both shades up to your face. And whichever one brightens and enhances your complexion best is the shade that will determine whether your undertone is warm, cool or neutral. 3. What neutral colours suit you best? This is a really simple way to determine what your skin undertone is. Do you look better wearing black or white? Or do you look better when you wear brown or cream? Or perhaps you look good in both? 4. What colour are your veins? This one can be one of the most difficult for people to determine as it’s not always so easy to see. In fact, this is one I had a bit of trouble with myself when determining my own undertone. But it’s worth doing it anyway. Take a look at the veins on your wrist. Do they look green, blue or are you not sure? Now it’s time to take a good look at your skin itself. Go somewhere where there’s natural light and take a mirror with you. For example, in front of a window. Or even go outside if you have to. Just make you’re not somewhere that’s very dark or has unnatural lighting, such a flourescent lighting in a bathroom. Otherwise, you won’t be able to properly see what your true skin undertone is. You might be thinking that if you have a light skin tone it means you have a cool undertone. Or that if you have a tan or dark skin tone, you have a warm undertone. But that’s not necessarily the case. For example, I have a light skin tone. But I have a warm undertone. Likewise, someone with dark skin can have a cool undertone. And someone else with dark skin could have a warm undertone. So you can see that skin tone really doesn’t have anything to do with skin undertone. And that’s why it’s important to know the difference between the two. So let’s take a look now at why and how it can be so beneficial to you. What’s the benefit of knowing my skin undertone? Knowing what your skin undertone is very helpful when choosing clothes and makeup. The reason is that knowing your undertone is will help you to choose colours and shades that will enhance your complexion. For example, if you have a warm undertone to your skin, then choosing warm colours and shades that have warm undertones to them will enhance your complexion and give a rejuvenated, refreshed and brighter look to your complexion. Whereas if you choose colours that are too cool for your skintone, they’re just going to make you look washed out, tired and ill. The same principal can be applied if you have a cool undertone. If you choose shades that have a warm undertone, they can look too orange like on your complexion. Let’s look at how you can use this when choosing makeup. Once you know your skin undertone, you can use it choose the best, most flattering lipstick shades for your complexion. 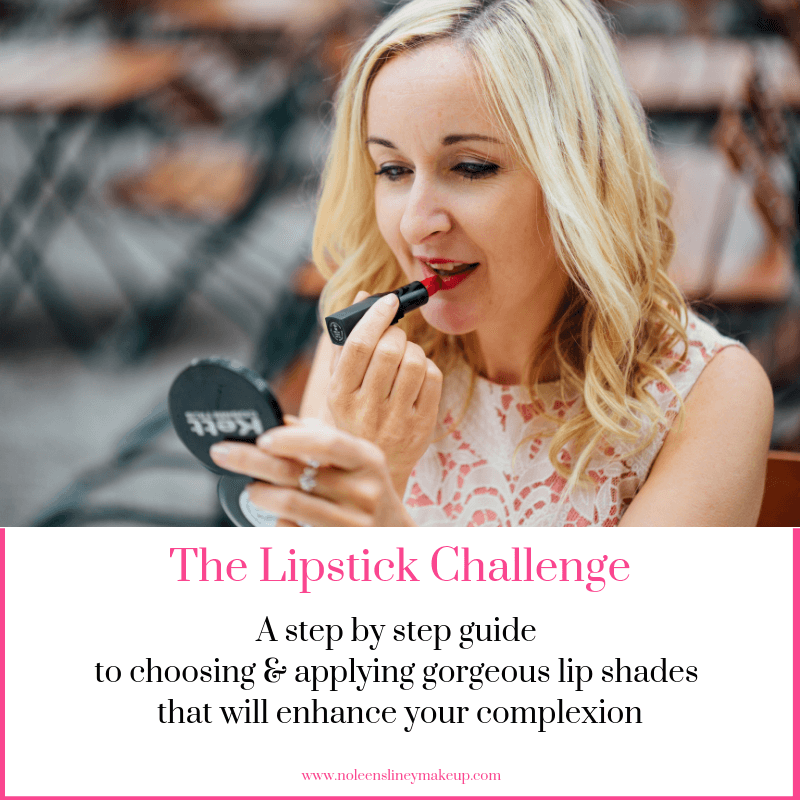 And if you’d like to know HOW to choose those shade, make sure to head here and check out The Lipstick Challenge. This will literally teach you everything you need to know about Lipstick. You’ll be able to confidently choose gorgeous lip shades that are suitable for your complexion. And that will enhance it in the most beautiful way. As you’ll also be able to apply them in a way that will really enhance your lips no matter what shape or size they are. You’ll also learn how to choose the right red lipstick shade that will look ultra flattering on your complexion. There’s sooo much more in there with tons of bonuses too. So make sure to check it out. You can also use your skin undertone to choose the right blusher shade. And in fact, one of the bonuses you get in The Lipstick Challenge will teach you how to match your blusher and lipstick shade so that’ll compliment each other. The ones that will take you from looking pretty to pretty amazing. And that will look so flattering on your complexion. Make sure to check out this post as it will help you to choose the right blusher for your complexion. 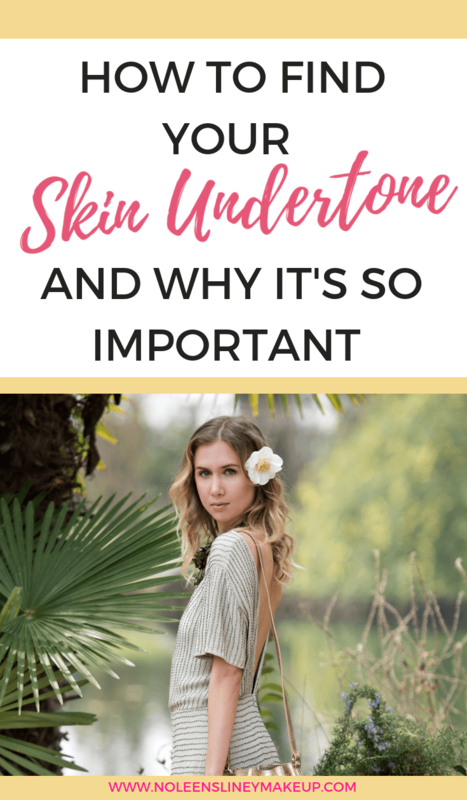 Knowing your undertone can also really help you to find the right foundation that will enhance your complexion and give it a healthy, refreshed glow. For example, if you have a warm undertone, choosing a foundation with a cool undertone can make you look pale and washed out. Likewise, if you have a cool undertone and you choose a foundation with a warm undertone, it can look too orange on your skin. Do you want to know how to use this to finally find the right foundation for your complexion? And learn all the foundation essentials to help you find the right foundation so you can confidently walk into any beauty store and easily choose the right foundation for your skin type? Then have a read of this as it will really help you. You can also use your undertone to find the most flattering hair colour when you’re at the hair salon. Again, you can apply the same principle as with makeup. So if you have a warm undertone, choose hair colours that are also quite rich and warm that will flatter and enhance your complexion. Think warm shades of blonde, brown, red, for example. Of if you’re cool toned, think cooler shades such as ash blonde and brown shades. So, are you ready to find out what your skin undertone is? Great, then let’s have a look at your scores.